Former Manchester United goalkeeper Edwin Van Der Sar has delivered his verdict on Manchester United’s performances under Jose Mourinho. He says that the results have simply not been good enough under the Portuguese manager, who has taken over from Van Gaal. Mourinho was appointed with the sole intention of transforming the fortunes of the club. Since the retirement of Sir Alex Ferguson, the club has been unable to win major honours – especially the league title. Louis van Gaal did leave the club with a FA Cup medal, while Jose Mourinho won the League Cup inside a campaign. Yet, they have been far lesser successes compared to the time when United were winning the Champions League and Premier league titles on a regular basis. 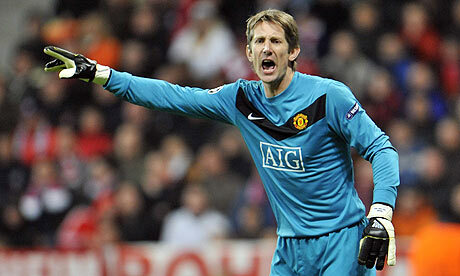 Van Der Sar was part of the team, as he was one of the true greats in United’s dominance over a period of decades. After searching for a Peter Schmeichel replacement in every nook and corner of the world, Sir Alex Ferguson managed to find that player in the form of Van Der Sar. He is not the 1st to criticise Mourinho’s approach at Manchester United. Yet, it will be a sizable dent in the Mourinho’s time at the club. Despite spending more than £ 140 million in the summer, the club have been unable to get into the top four up until now. “Can I be honest? Disappointing. Fifth place is disappointing for a club like this,” said Van Der Sar. Only a few weeks ago, Manchester United looked like being capable of taking advantage of Arsenal, Manchester City, and Liverpool’s misfortunes. However, they have failed to win five out of the last six matches. Even though the club are unbeaten since October, United have drawn five out of these last six home games. In fact, draws have been the biggest dent for the club this season.